NAIROBI, Feb 06 (IPS) - On 06 February 2017, the world marks the 14th International Day of Zero Tolerance for Female Genital Mutilation (FGM). Consider this, approximately 200 million girls and women alive today globally, have undergone some form of FGM. One cannot but despair at the indolent pace towards elimination of one of the most brutal cultural norms, a practice that continues to hold women and a Nation's development back. 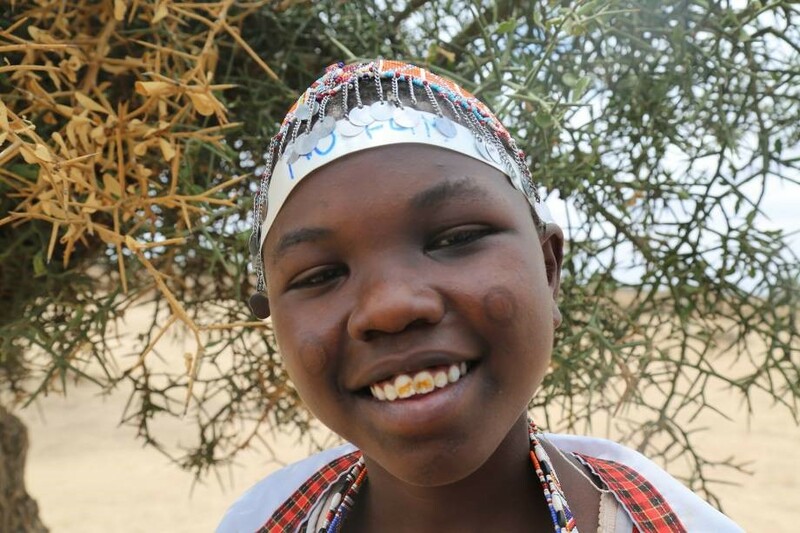 While Kenya must be applauded for having brought down the national FGM prevalence from 32 percent to 21 percent in the last 12 years, there are still some communities where about nine in ten girls are mutilated, often forced to leave school and into early marriage. An often-unnoticed reality is that the effects of FGM go far beyond the negative physical and psychosocial consequences. The social and economic damage done to entire countries has only started to be realised. The origins of practices such as FGM and their continuation over millennia are traced to man's objective of subjugating women. Alas, the dire consequences of such practices are affecting the entire population, including those in non-practicing communities. In 2015, the Sustainable Development Goals (SDGs) recognized the close connection between FGM, gender inequality and development, urging global action to end FGM by 2030. FGM ranks as one of the worst manifestation of gender inequality. Last year, UNDP's Africa Human Development Report estimated that gender inequality is costing sub-Saharan Africa six percent of its GDP leading to around US$ 95 billion in lost revenue. The Government of Kenya is demonstrating commendable determination to eliminate the practice. Increased resources to the national Anti-FGM Board have resulted in good progress towards implementing the Prohibition of the FGM Act and tangible strides are being made to find alternative rites of passage. From a medical point of view, FGM causes severe health problems as well as complications in childbirth increasing risks of newborn deaths. Adolescent girls are far more likely to die from childbirth-related complications and face greater risks of getting obstetric fistula, which is the most devastating of all childbirth related injuries. They are also at higher risk of contracting HIV. While education is arguably the best solution for ensuring women and girls gain equal access to political and socio-economic power in society, FGM makes this impossible because very often for the girls, post-mutilation, is end of schooling, early marriage, and denial of sexual and reproductive health and rights. This is a sure recipe for perpetuation of poverty, misery and inequality in society. We therefore must seek alternative rites of passage to broaden opportunities for girls while recognizing this important milestone. For the thousands of girls to whom every school holiday comes as a choice between running from home and facing a gruesome, dream-crushing ritual, the country must accelerate the search for lasting solutions. To make real progress, this battle must not be seen as just a confrontation against a harmful cultural practice, but as an all-encompassing effort to address the political, economic and social drivers that hamper African women's advancement. Programmes must include addressing the gaps between legal provisions and practice in gender laws; transforming discriminatory institutional settings and securing women's economic, social and political participation. Gains in reducing gender inequality will be defined by more women finishing secondary school, more of them in the formal workplace, more women entrepreneurs accessing credit and more of them contributing in political as well as social decision-making processes. During a visit to Kenya, former US President Barack Obama observed, just because something is part of our past doesn't mean it defines our future. The progress towards Kenya's Vision 2030 and beyond must include dealing with harmful traditional practices and other scourges that have held back women from progressing. The UN Secretary General Mr Antonio Guterres has said, "Sustainable development demands full human rights for all women and girls. The 2030 Agenda for Sustainable Development promises to an end to this practice by 2030." In the countdown to the realisation of SDGs and Vision 2030, Kenya must decide that FGM and gender related discrimination practices cannot stand in the way of progress any longer. The good news is; Kenya is making remarkable progress. Ruth Kagia is a senior advisor in the office of the President of Kenya. Siddharth Chatterjee is the United Nations Resident Coordinator to Kenya.